Crafters Collection: Cross Stitch & Bead Embroidery Size Asst. Cross Stitch & Bead Embroidery Size Asst. Ever thought of adding beads to your cross stitch? Not sure which needle to use? 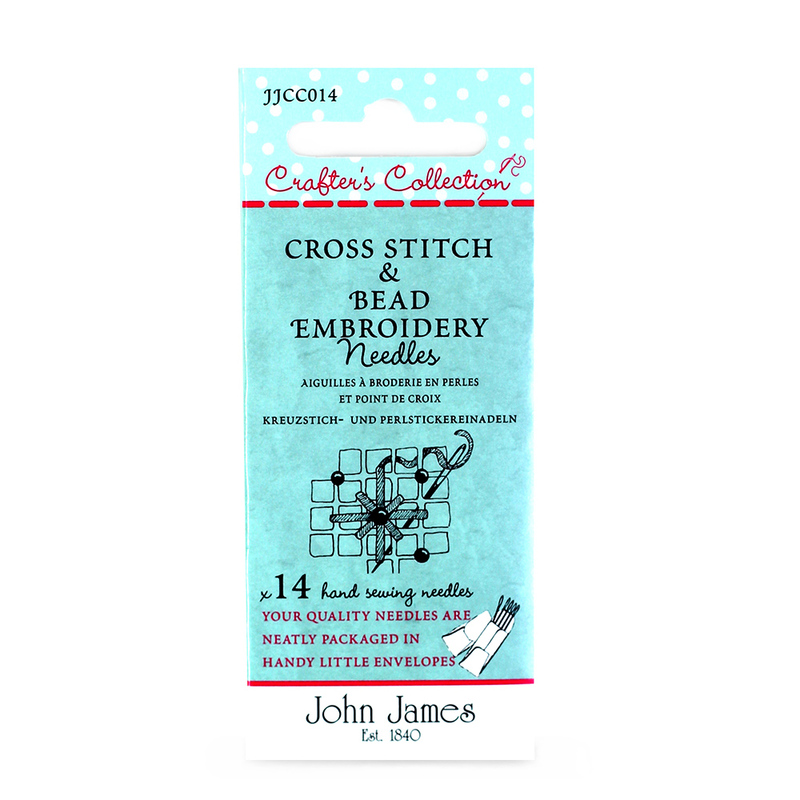 We are delighted to introduce this unique pack of cross stitch needles and a specially designed needle to be used in attaching beads on top of a completed piece of cross stitch. The needle is an embroidery needle with a blunt round point this ensures no worked stitches or fibres are split whilst sewing on top of the finished work. A size 7 is finer than the size 5, both needles are suitable for beads with a reasonable diameter.